Perfect for urban parents and fantastic for travellers, the Yoyo buggy is the new name for mobility. The Babyzen YoYo is an excellent stroller with great style and amazing functionality! The multi award winning BABYZEN stroller is worldwide famous for its easy. Instant one handed fold and unfold and compact overhead cabin luggage size, the BABYZEN YOYO+ can now be used with a car seat as well. The fold is tiny so the YoYo+ will fit even the smallest boot. 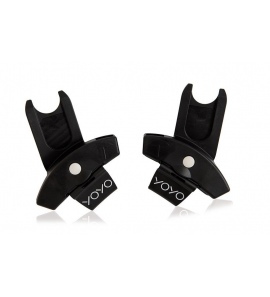 There is a shoulder strap to make carrying the YoYo+ easy down stairs whilst holding onto your child. Maxi-Cosi Pebble & Pebble Plus. The YOYO+ is more than ever, the urban stroller for parents on the move.